Surrounded by the Blue Ridge Mountains in the heart of Western North Carolina, Chetola Resort at Blowing Rock is an inviting mountain resort that offers a tranquil escape from the city. Set on 87 acres of pristine wilderness and forestland, Chetola Resort offers luxurious accommodations, fine dining, exceptional meeting and conference facilities, and an array of recreational pursuits to enjoy. 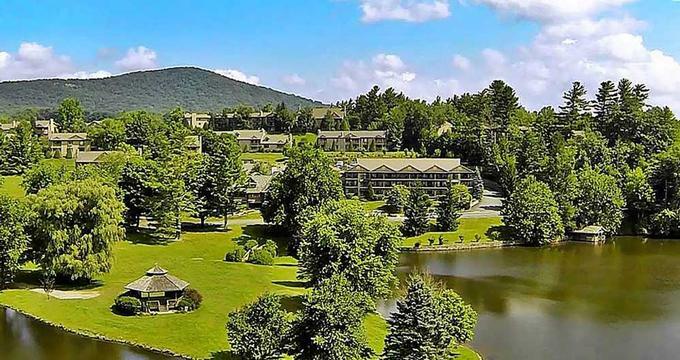 Located adjacent to a 3,600-acre National Park and just a short walk away from a quaint mountain village, this comfortable, home-away-from-home resort has something for everyone. 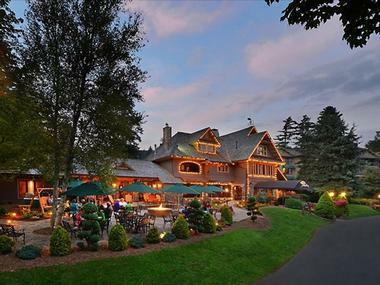 Accommodation at the Chetola Resort is spread over three categories, namely Chetola Lodge, Chetola Condominiums and the Bob Timberlake Inn at Chetola Resort. All guest rooms feature standard amenities, including flat screen televisions, DVD Players, in-room safes and private bathrooms with showers and/ baths. Chetola Lodge features 42 well-appointed guest rooms with beautiful views of the surrounding grounds or Chetola Lake. These rooms spacious and bright with two queen or one king-size bed, private en-suite bathrooms with bath and/shower combinations, refrigerated wet bars, microwaves, and sleeper sofas. Five spacious Bob Timberlake Hillside Suites can also be found at Chetola Lodge and feature two queens or one king-size bed, two bathrooms with whirlpool tubs, separate dining and living areas and full-size sleeper sofas. Condominiums range from one to four bedroom units with fully equipped, full-size kitchens with washer and tumble dryers, dining and living areas with sleeper sofas and some with fireplaces. Bedrooms feature two queens or one king-size bed, and bathrooms offer walk-in showers, whirlpool bathtubs, fine linens and towels and luxurious bath products. 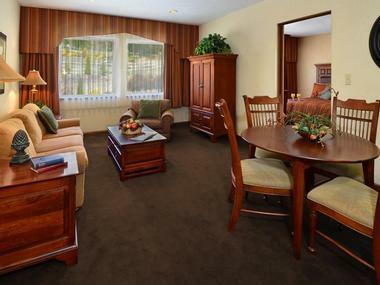 Some four-bedroom units feature two gas fireplaces and cozy dens with flat screen televisions. 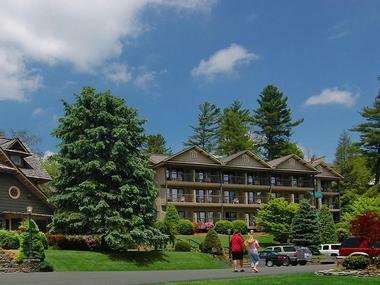 Named after the owner of Chetola Resort, the Bob Timberlake Inn features individually themed and decorated suites, which are themselves named after prominent local that have played a role in the growth of the Resort. The luxurious bed and breakfast style Inn is decorated with rich tapestries and artwork, thoughtful accessories and charming mementos, all of which add to its elegant appeal. While guest rooms are individually decorated, all rooms feature standard amenities, including flat screen televisions, DVD Players, fireplaces, in-room safes and private bathrooms with whirlpool tubs and plush robes. Timberlake’s Restaurant serves an inspired menu of American cuisine with an international twist in an elegant and relaxed setting. 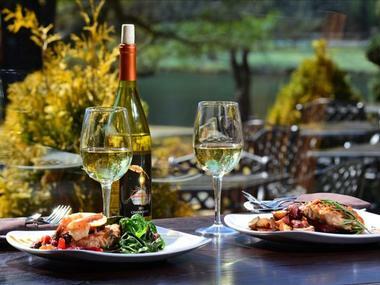 The restaurant features three dining rooms, an intimate wine room and a broad patio for alfresco dining, and the charming Headwaters Pub is just next door. The menu features a variety of delicious dishes such as freshly prepared salads, savory shrimp, pan-seared duck and roasted Carolina quail, along with a delectable range of desserts. Complimentary breakfast is served every morning at Timberlake's Restaurant, which also hosts a variety of special events throughout the year. Headwaters Pub boasts a traditional pub-style setting with warm, dark interiors, historic photographs lining the walls and a comprehensive menu of craft and imported beers, aperitifs, cocktails, fine wines from around the world and regular favorites such as cappuccinos and coffees. Chetola Resort offers an array of first-class amenities and facilities ranging from an exclusive spa and wellness center and outdoor activities such as golf, fishing, and tennis to kids camps. Facilities at Chetola include an indoor heated swimming pool and sunbathing deck, a dry sauna and Jacuzzi, tennis courts, ping pong tables and both an indoor and outdoor playground for children. A fully-equipped fitness center offers an array of equipment, as well as yoga, Pilates, and other classes, while the fully stocked lake is perfect for canoeing, kayaking or fishing. The nearby Highlands Sports and Recreation Center offers challenging fitness classes, supervised kids camps, and a variety of recreational and outdoor pursuits. There are also several superbly maintained hiking and mountain biking trails in the area. Inspired by the beauty of the natural surroundings, The Spa at Chetola Resort features five soothing treatment rooms, including one couple’s treatment room, a relaxation room complete with crackling fireplace, a salon-style nail treatment area, and the Swan Bar for refreshments. Spa services include a range of massages and massage therapies, body treatments, skin care and facials and salon services, such as manicures, pedicures, cosmetic applications, and hair styling. Chetola Resort features a variety of meeting rooms, indoor and outdoor event spaces and function areas for all types of gatherings. Venues range from the picturesque lakeside setting of Peninsula Point or the exquisite waterfront Arbor by the Lake to the elegant Evergreen Room with its floor-to-ceiling stone fireplace or the richly decorated historic Timbers Room.